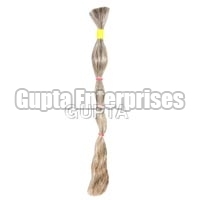 Gupta Enterprises has created strong foothold as a prominent Manufacturer, Exporter and Supplier of a wide range of Human Hair. We are a registered member of different councils such as CAPEXIL, PLEXCONCIL, FIEO and APEDA. 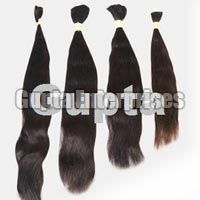 We offer an extensive selection of Human Hair that is inclusive of Indian Human Hair, Single Drawn Hair, Double Drawn Hair, Remy Hair, Remy Single Drawn Hair, Non Remy Hair, Clip On Hair Extensions, Machine Weft Hair, Clip On Hair and so on in various shades (Blond, light blond, brown & black), textures (Wavy, straight, natural curly & artificial curly) and sizes (6” to 40”). Today, we have established our network in different parts of the world like UK, USA, Taiwan, Canada, South Africa, Amsterdam, Australia, China, Denmark, France, Netherlands, New Zealand, Norway, Israel, Switzerland, Korea and Germany. 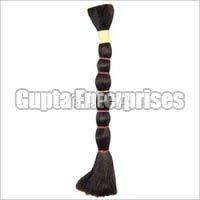 In addition to the above mentioned products, we also supply bulk quantities (500 MT) of Barber Cutting and Similar Short hair called Thukku that is used in the manufacturing of El-Cystine. Non Remy Double Drawn B.. 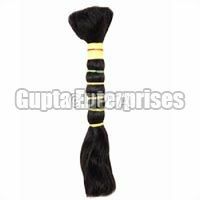 Non Remy Double Drawn H..